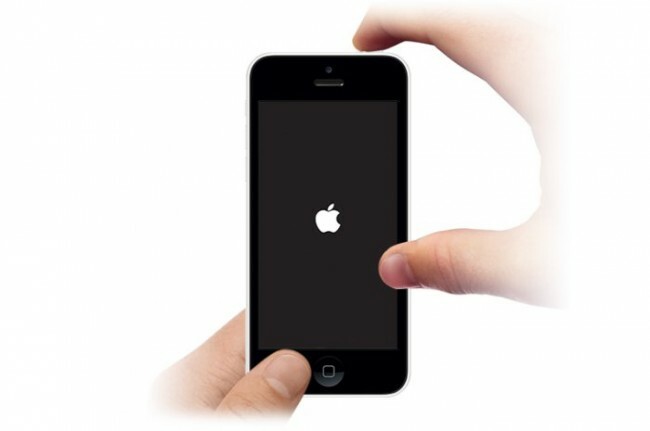 Resetting your iPhone 5s is one of the easiest ways to fix any software issues your device may be exhibiting. It is also a great way to erase your device of all the data and settings if you are planning on selling or loaning the device out to someone else. 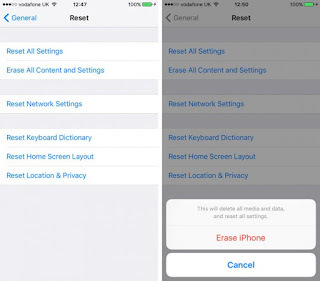 In this article we are going to see a number of ways you can reset your device. This guide will be useful to you if you want to fix a software issue, such as iPhone 5s stuck on Apple logo, you just want to refresh the device or you want to clean out the data and settings on it so you can recycle or sell it. Resetting your iPhone5s is very easy, just follow these simple steps. We should however mention that if you are doing this to fix a software issue, you need to backup your iPhone before doing it. Step 1: launch the settings app from your home screen. You may need to enter your passcode and then tap “Erase iPhone” to continue. You may then be required to enter your Apple ID and password to confirm the action. The iPhone will be erased completely and should go back to the initial setup screen. If you don't remember your Apple ID, you can also reset iPhone without Apple ID. If you don’t have your passcode, here’s how to rest your device. Step 1: Connect the usb cable to your PC but don’t connect the other end to your iPhone just yet. Step 2: Turn off the iPhone and then press and hold the Home button on the iPhone and then while holding the Home button, connect the other end of the cable to the iPhone. 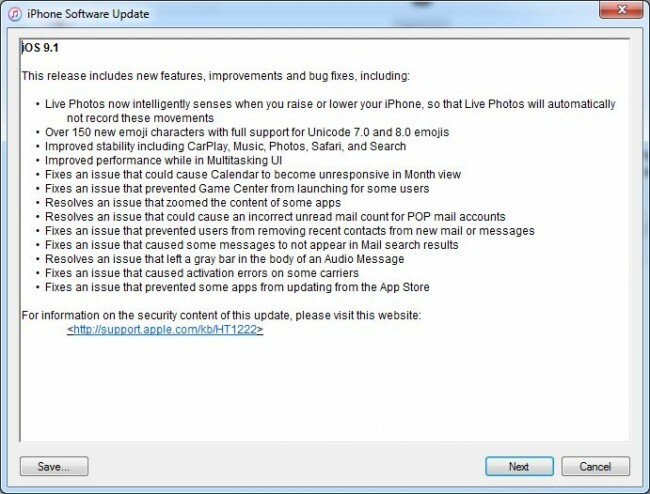 You should see he iTunes icon on your device’s screen. The device is now in recovery mode. 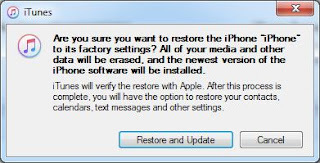 Step 3: Launch iTunes on your computer and click on “restore” when prompted. 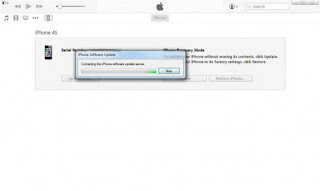 Step 4: Hold on while iTunes connect to the iPhone software update server. Step 7: Click “Agree” to accept the terms and continue. 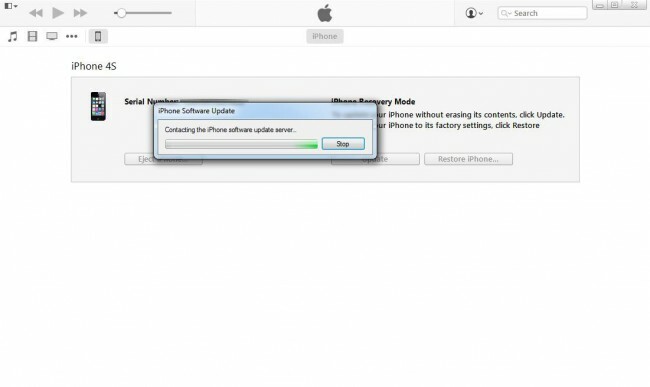 Step 8: Wait for iOS to be downloaded to your iPhone and your device to be restored to factory settings. If by any chance you meet iPhone won't restore error during the process, there are simple solutions to fix it too. 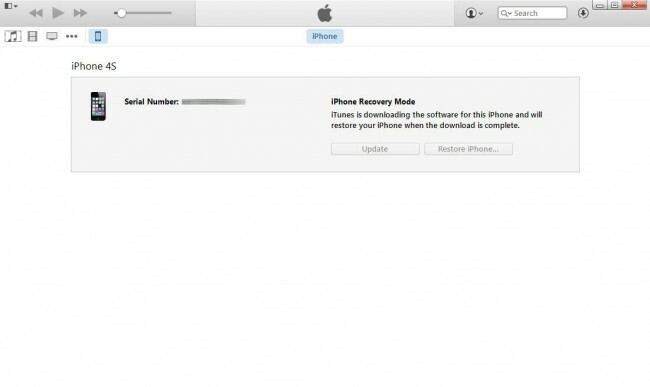 You can also use iTunes to reset your iPhone 5s. Here’s how to do it. Step 1: Launch iTunes on your Mac and PC and then connect the iPhone to your computer using USB cables. Follow the on-screen instructions if a message asks to Trust this Computer. 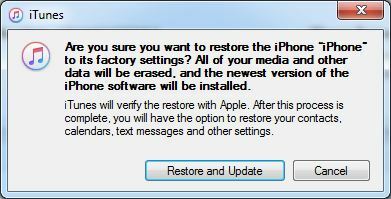 Step 3: Click “Restore” again to confirm and iTunes will erase the iPhone completely and install the latest iOS. Your device will be restored to factory settings and should now be set-up as new. 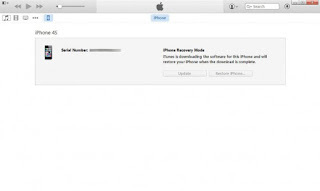 This is the easiest way to reset iPhone 5s with iTunes, we can also have ways to restore iPhone without iTunes. 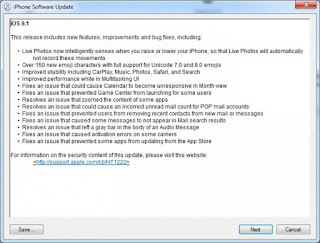 A hard reset is another way to solve a lot of the software issues your device may encounter. Performing a hard reset on your iPhone 5s is very easy. Just hold the Sleep/Wake button and the Home button at the same time until you see the Apple Logo.